Luisa is an oceanic sailer and she asked for this tattoo representing freedom, sailing and protection. The manta is a symbol of freedom and protection, elegance, and on the inside we placed a sun (positivity, eternity) taking her along her travels: it is formed by the union of waves and sky, and encircles an ipu, a gourd where Hilo (sailor and deity) kept the good winds. The tail of the manta is made of spear heads (courage, strength) and where it touches the body we placed a Marquesan traditional symbol representing the end of a canoe (voyage, sociality, challenge) with a motif representing the light that was put on the tail of the canoe, symbolizing guidance and responsibility. 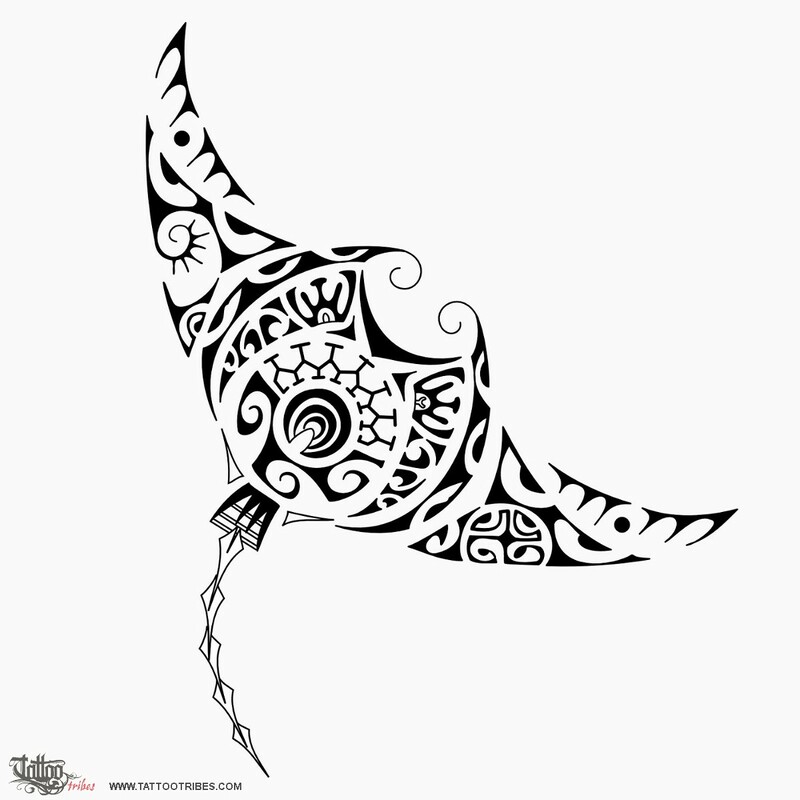 Next to the mouth of the manta there is a traditional Marquesan pattern for bats (sociality) with two human figures (male and female) on its sides, to symbolize friendship and as a wish for her to meet good friends in every place. 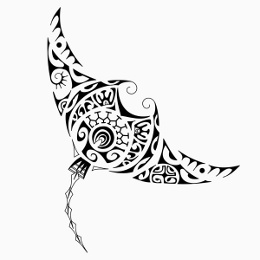 The hammerhead shark motif is for determination and tenacity; on the wings the seashell symbolizes love and safe shelter whilst the Marquesan cross symbolizes harmony and union of the elements. An eye of a tiki guards on her voyage and a fish hook represents prosperity and abundance. The islands on the tips of the wings are the destinations her travels will lead her to.